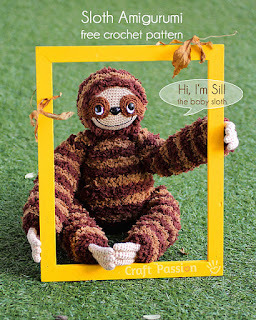 Sill the Sloth is about 21 inches tall. He is crocheted from acrylic and fuzzy yarn held together. It's easier than it sounds!